The air conditioning in a home typically has the largest impact on the monthly electric bill. The most obvious way to save money on air conditioning is to reduce your use of the unit. 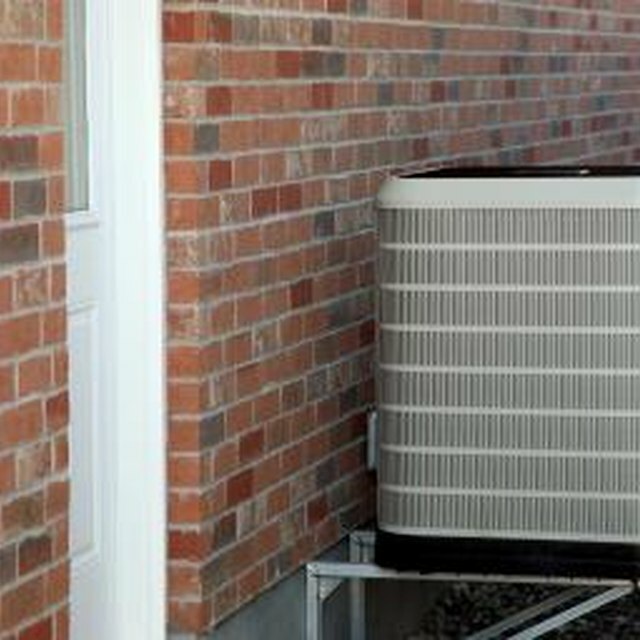 With no AC running, a house eventually reaches the same temperature as the outside air. But running an AC to keep a house cool when no one is home wastes energy and dollars. Programmable thermostats allow you to set specific times and temperatures for cooling. Remove the existing thermostat for central air units and replace it with a programmable digital thermostat. Digital thermostats come with installation instructions. Set the thermostat to turn off when the house is normally unoccupied, like work or school days. Have the thermostat turn on approximately 30 minutes before residents return to the house. Raise the temperature to the maximum setting -- 90 to 95 degrees Fahrenheit -- when leaving the house, if you cannot replace the thermostat. Raising it to the highest level ensures that the AC unit does not activate while you are away. Turn the thermostat to the desired temperature upon returning to the house. Install a plug-in timer into the outlet connected to a window unit. Plug-in timers are manually set to specific times to trigger the outlet to turn on and off. Leave the window unit turned on but schedule the plug-in timer to turn off at specific times when the room or house is unoccupied.